Attention all yogis! Thursday 21st June marks the summer solstice, which four years ago was also officially marked as International Yoga Day. In celebration, millions of people around the world will be rolling out their mats to pay homage to this timeless practice that benefits our entire body – physically, mentally, emotionally, socially and spiritually. Whether you’re an age-old yogi looking for somewhere new to practice, or are interested in trying yoga for the first time – we’ve discovered 5 of the best yoga classes in London. 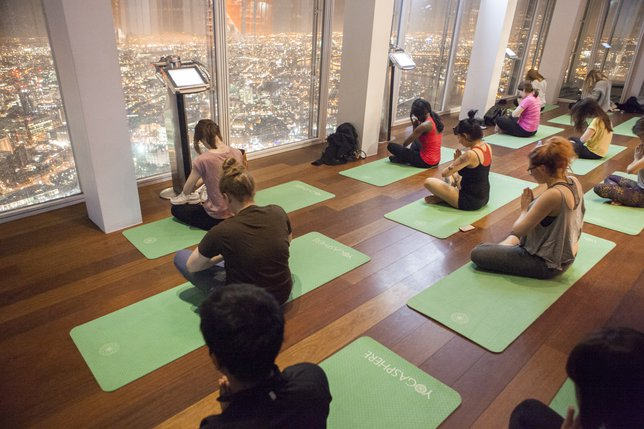 The Lowdown: Start the day with an energising yoga practice featuring cracking views of the City on Level 24 of the Shard. 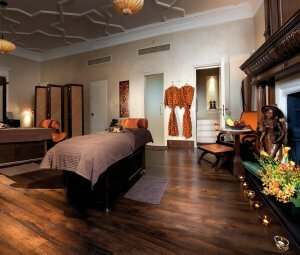 An hour of early morning mind, body and soul nurturing will leave you feeling supple, inspired, and ready for the day ahead. The Class: The classes are focused on the root chakra (Muladhara). The word Muladhara breaks down into two Sanskrit words: Mula meaning ‘root’ and Adhara, which means ‘support’ or ‘base’. A great way to kick off the day with an energetic start. The Lowdown: Flying Fantastic is London’s only dedicated aerial fitness centre. From 2 studios boasting ceilings of up to 9 metres, they offer classes in a wide range of aerial disciplines: aerial silks, hoop, trapeze, slings, rope, straps, and tons more. 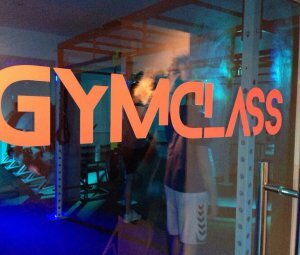 The Classes: Counteract gravity with an aerial yoga class, allowing you to move more freely with less effort. 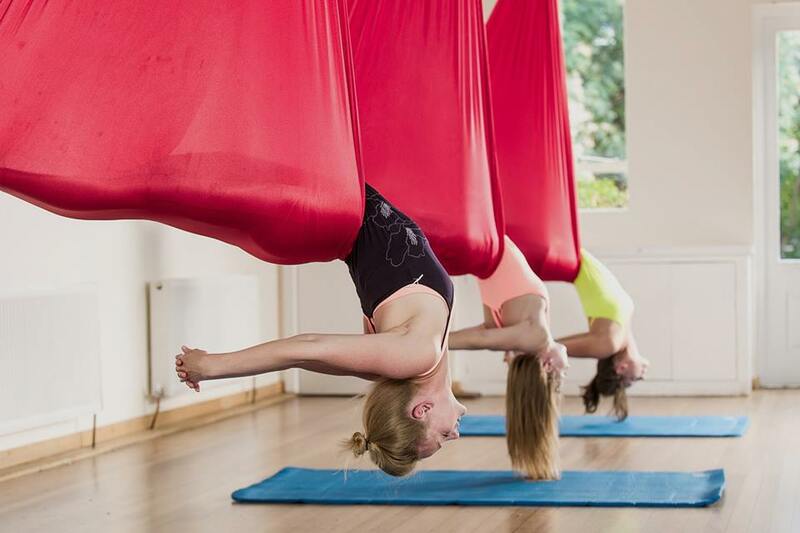 Whilst suspended in the air, aerial works on core strength whilst reducing tension in the bones and muscles, which in turn increases flexibility in the muscles and allows you to deepen your practice. 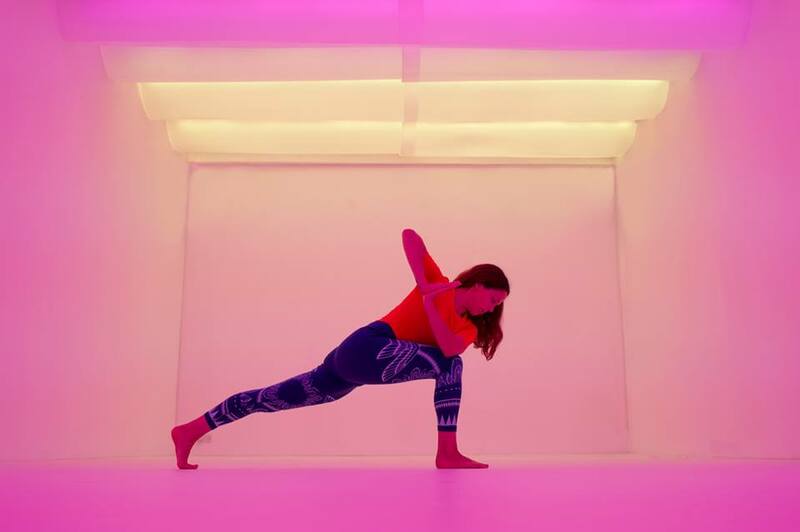 The Lowdown: Stimulate your senses with London’s latest yoga concept, ChromaYoga. 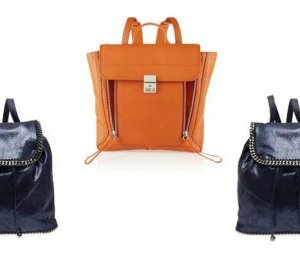 Classes combine light and colour therapy techniques, brain stimulating soundscapes and bespoke natural scents to create an immersive experience. 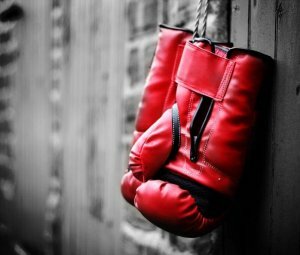 The Classes: A dynamic flowing class where breath is linked with movement and used to wake up the body and increase energy. Blue light is the all mighty controller of our sleep cycles and can help with boosting productivity and alleviating mood swings. These classes are great if you find it hard to wake up in the mornings or suffer from afternoon energy dips. The Lowdown: For those who enjoy working up a sweat, Hotpod’s inflatable studios offer an intensive yet balanced physical workout that promise to restore calm and clarity to the mind. The high temperature helps to warm up the muscles to aid flexibility as well as making the heart work harder. 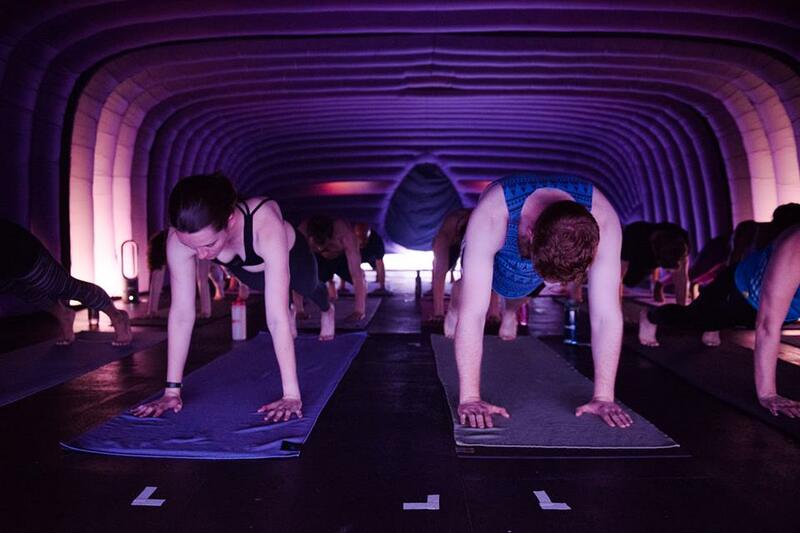 The Classes: The Hotpod team teach hot Vinyasa Yoga classes in their very own inflatable, heated studios – an intensive and balanced physical workout, restoring calm and clarity to the mind in our soothing, cocoon-like pods. 37°c heat warms the muscles and aids flexibility as well as making the heart work harder. 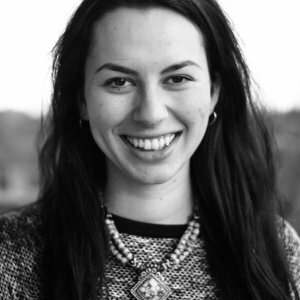 The Lowdown: If you’re looking for quality teachers that will help you take your practice to the next level, classes at More Yoga offer exactly that. Enjoy warm and cosy studios and tranquil settings, allowing their dedicated instructors to give you the attention you need to really enhance your practice. The Classes: Classes range from power flow to rocket yoga and yin and mediation. The More Vinyasa Flow is a creative sequencing of yoga postures built around a set of surya namaskar (sun salutations). These sun salutations enable the body to build heat, endurance, flexibility, and also a lot of strength. This encourages the body to breathe more freely and align into the following postures with ease. 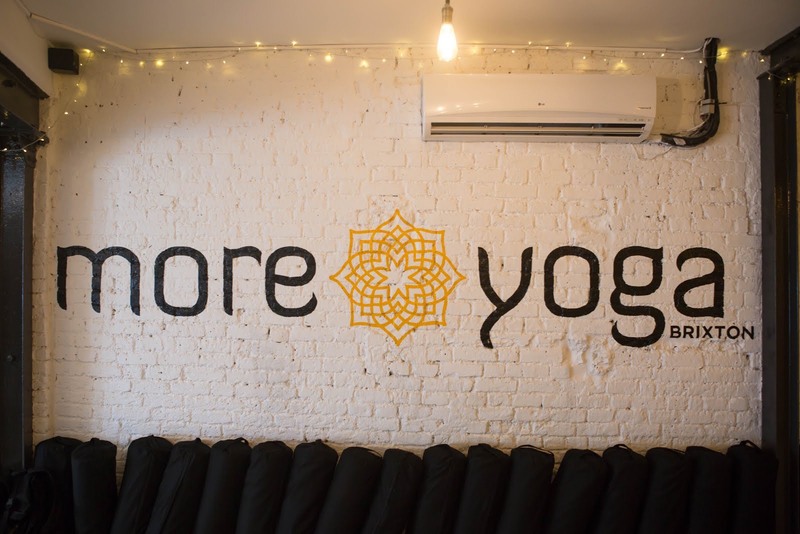 For more information on different yoga studios in the capital, check out MoveGB – the UK’s largest fitness membership platform that boasts more than 6000 partners, connecting you with London’s favourite yoga studios.